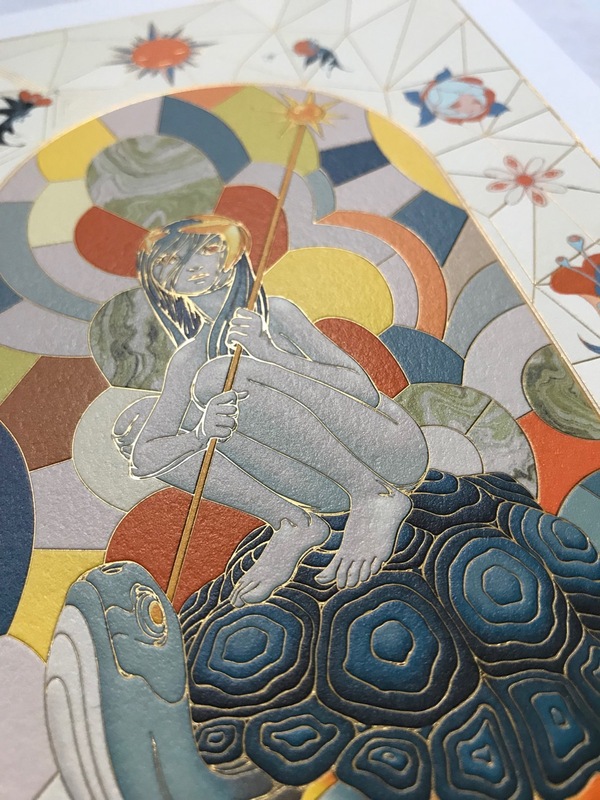 On October 9th at 8 AM PDT, James Jean (interviewed) will be releasing the catalog for his show last year at Kaikai Kiki Gallery. 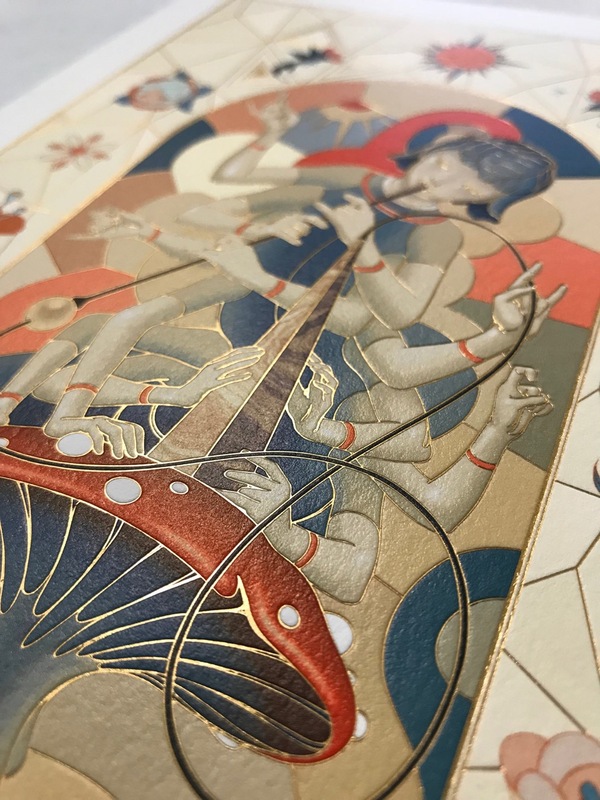 Azimuth will include the artwork, installation photos, and process images from the exhibition in Japan, as well as ancillary works created in the same period. 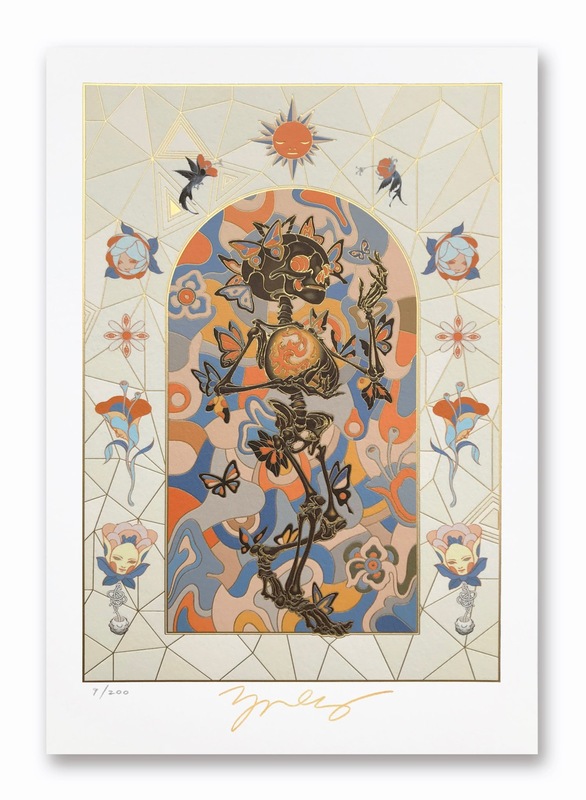 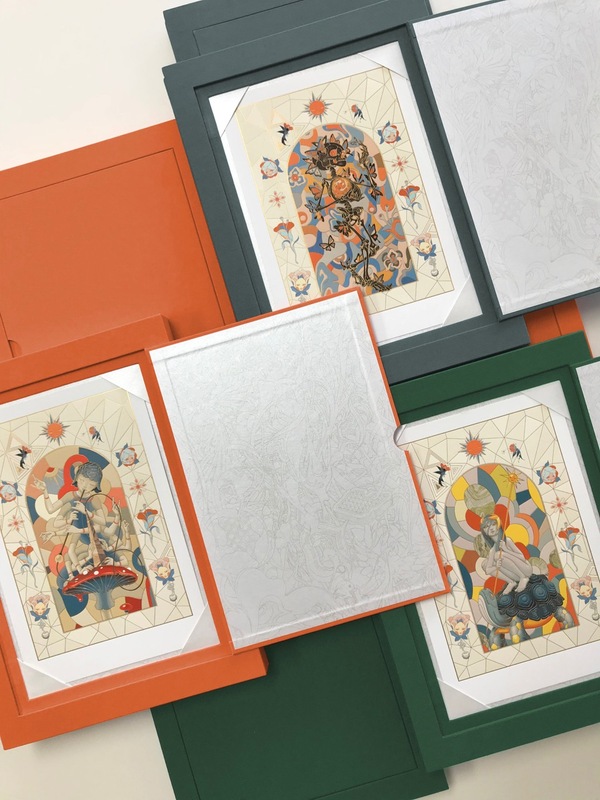 The exquisite book, which includes many thoughtful details, is limited to 1000 copies, comes signed, and includes an afterword by Takashi Murakami. 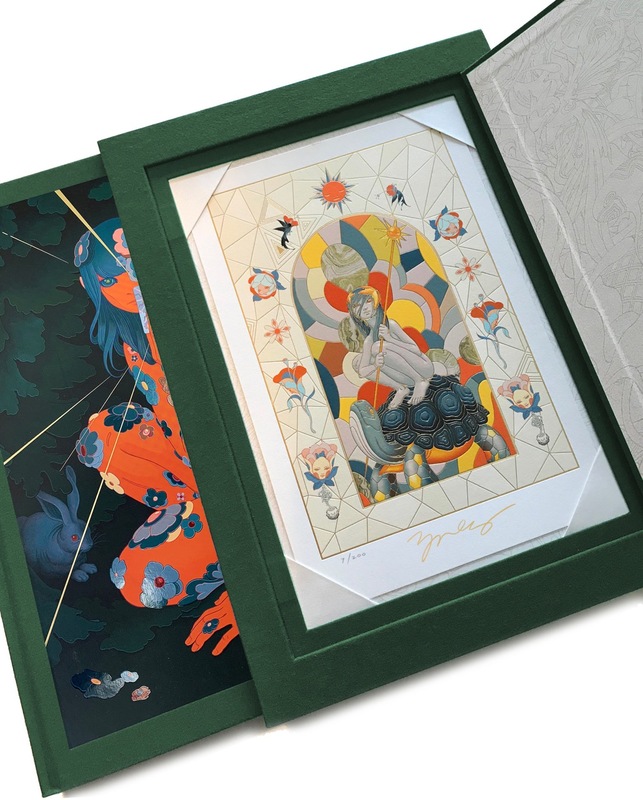 Taking things to the next level, James will also be offering three slipcase editions with custom-engineered cloth cases with a magnetic enclosure that opens to reveal a foil-embossed giclée print within. 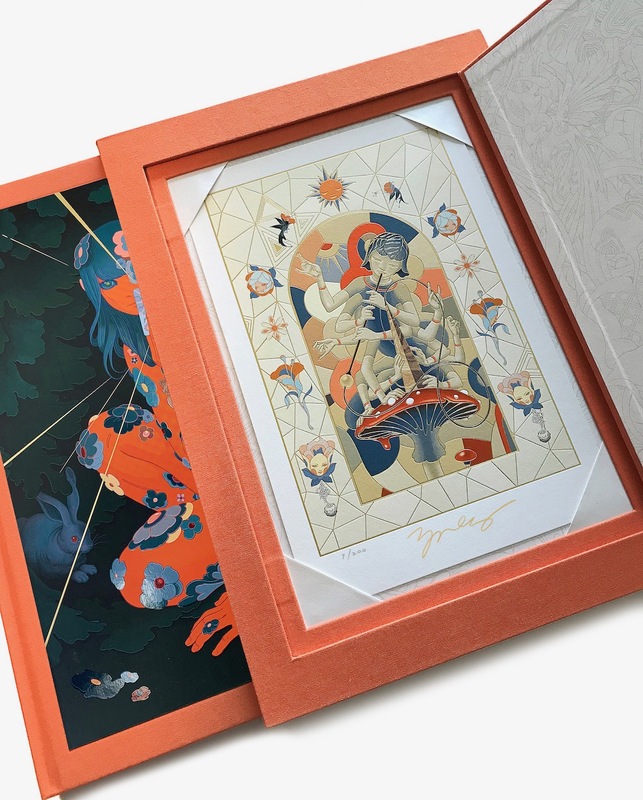 The Vapor, Immortal, and Stargaze editions will each include a different print and come in editions of 200. 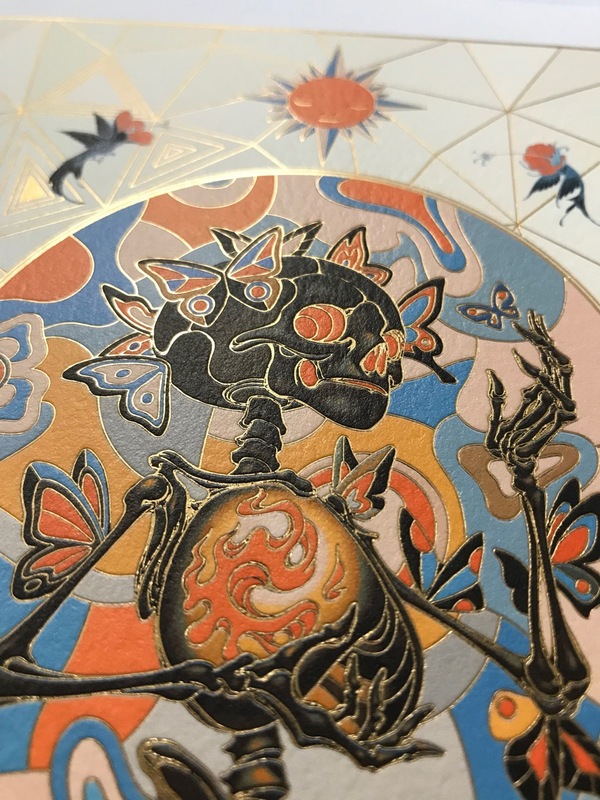 Head over to his web store for more details. 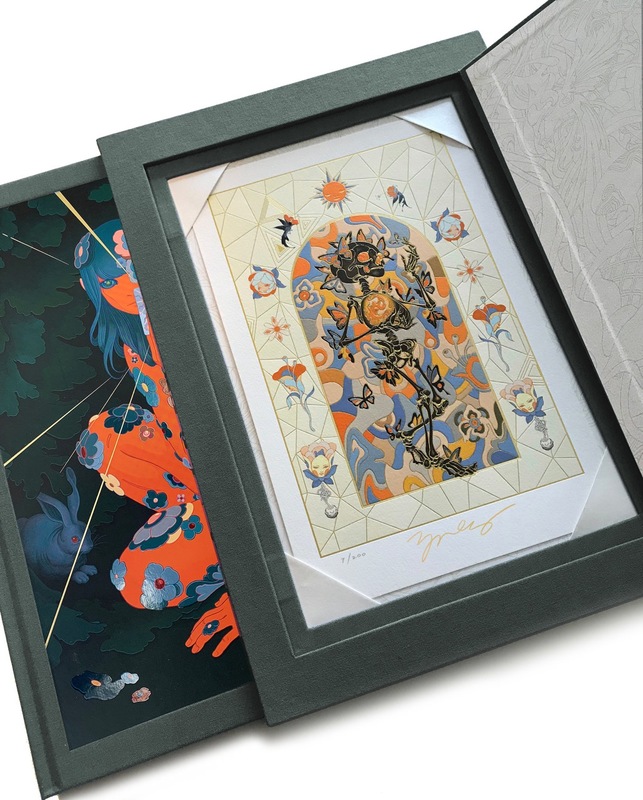 Categories: Contemporary Art, Low Brow & Pop Surrealism, Publications, Releases. 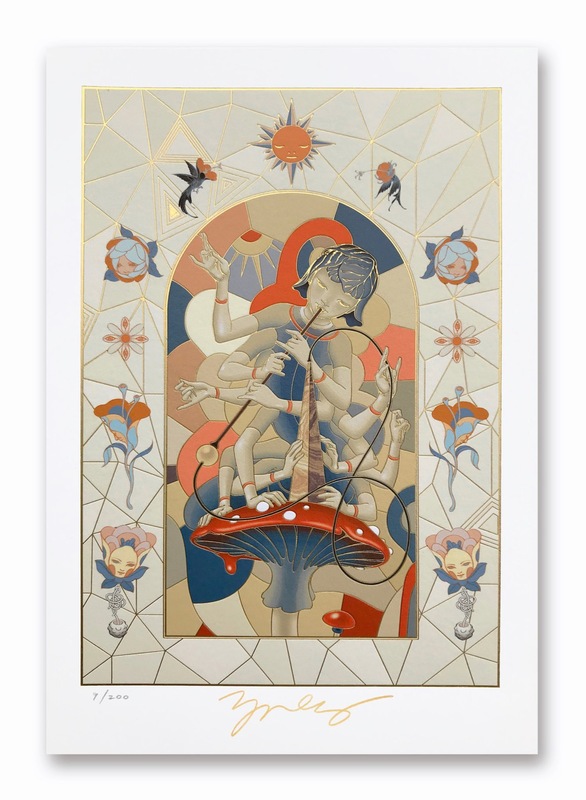 Tags: Contemporary Art, James Jean, Low Brow & Pop Surrealism, Prints, Publications, Releases.